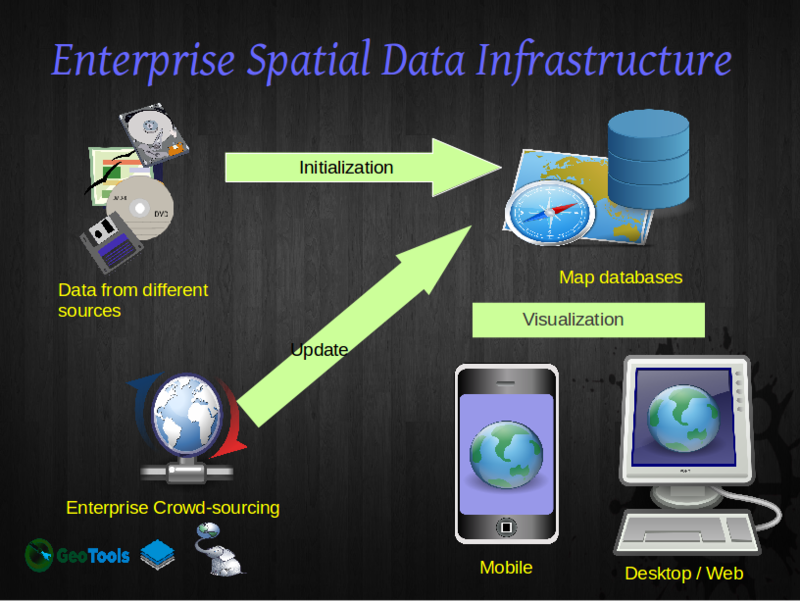 Most of the data that enterprises gather (day to day operations, sales, stocks, transport) have location attribute. Emerging field of spatial analytics helps enterprises in tapping the potential of location data for understanding location dynamics of the operations carried out. Traditional practises of capturing location data using PDA’s or GPS+Paper induces lot of overheads in data collection, cleaning and entry. To overcome these challenges and reduce the overheads in handling location data, KAIINOS has come up with a concept of ESDI (Enterprise level Spatial Data Infrastructure). Tools we develop help in initialization and updation of ESDI efficiently. Design and Development of ESDI is done using Open Standards thus enabling it to fit into existing processes and systems. 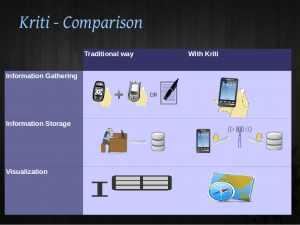 KAIINOS team helps enterprises in migration of data from legacy systems to latest systems compliant with OGC standards and installs Kriti for updation of the spatial and attribute databases as per the standards. 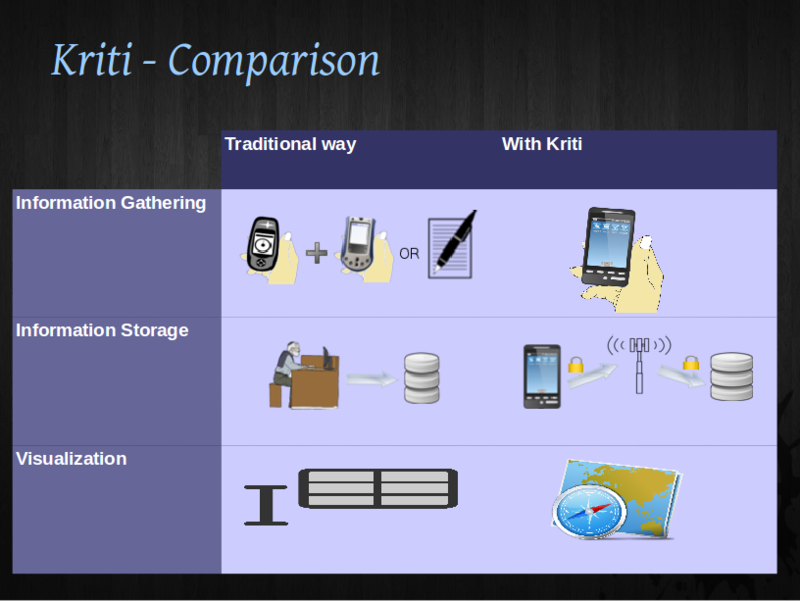 Web GIS component of Kriti helps users to perform visual analytics over the information generated.